Frank Skeffington taught in St Kieran’s College, Kilkenny from 1900 to 1901. My grandfather, Patrick Kennedy 1866-1949, taught there from 1888 to 1901, when he left to start his own school, THE HIGH SCHOOL, Kilkenny. 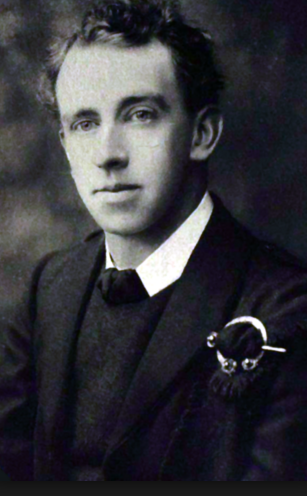 Thomas MacDonagh, who had been teaching in Rockwell, transferred to St Kieran’s in 1901 and shared lodgings with Skeffington who had transferred to Kilkenny College. Patrick Kennedy had joined the Gaelic League in Kilkenny and introduced MacDonagh to it. My grandfather was a native of Cloughjordan, Co.Tipperary and the Kennedys and MacDonaghs were next-door neighbours. His father,Thomas Kennedy, was godfather of John MacDonagh (1880-196?) pioneer film-maker (Willie Reilly and his Colleen Bawn), And Thomas MacDonagh was godfather of Patrick Kennedy’s daughter Eileen (1895-198?) my aunt. My grandfather’s growing family needed more than his school could support, so he went into business. He became a Director of a woollen mill and of a tobacco-growing business. I have a copy of a dividend of ten shillings paid to Thomas MacDonagh, evidence, no doubt for the begrudgers, that one of the Proclamation’s signatories was a bloated plutocrat. My father remembered being give a present of a half-crown by “Tommy” MacDonagh, a king’s ransom for a little boy. I can’t wait to hear what Ruth Dudley Edwards makes of that! I believe Patrick Kennedy was elected to Kilkenny Corporation, and know he was involved in promoting local industry. Though Kilkenny’s electorate was overwhelmingly Nationalist, it elected a Unionist mayor, and Unionists and nationalists co-operated in cultural and other pursuits. I believe that Grandfather’s business socialising resulted in alcoholism, but that he went on the wagon and kicked the habit and in in 1908 or 1909 he joined MacDonagh on the staff of St Colman’s in Fermoy. Secondary teachers were miserably paid. At some annual or other teachers’ dinner, Patrick Kennedy blocked the door and said they needed more than just sociable combinations. On St Patrick’s Day 1909 the inaugural meeting of the Association of Secondary Teachers (Ireland) was held in Cork, and its first Dublin meeting was held on Easter Monday 1909 in the Round Room of the Mansion House. Patrick Kennedy took the Chair. He had prepared an agenda and a constitution which were adopted. He emerged from the meeting as first President of the Union, and Thomas MacDonagh as the General Secretary. A young lecturer named Edward de Valera was a steward at the meeting. I wonder what happened to him? Very interesting, Donal. The brutal and inhuman murder of Francis Sheehy Skeffington was one of the first turning points of anti British sentiment during the Rising – a deplorable act! Yep, Francis Skeffington was a pacifist and went out into the streets to dissuade looters from taking advantage of the chaos of the rising and thereby giving the rebels a bad name. He and 3 fellow writers/journalists were murdered by a British mad man. Thank you for the article, Donal. He’s a much ignored Irish hero.